This year's mild weather introduced snake season early. Snake season began six weeks ago because of the mild weather, said Dr. David Smith at Texas Health Harris Methodist Hospital Fort Worth. One of the latest victims, David Whillock, of Colleyville, was bitten by a copperhead two weeks ago when he reached to get a water hose outside his house. "I let out quite a yell, and my wife came running up," Whillock said. "And I said, 'I'm bit.'" A Colleyville man is still recovering after a copperhead snake bit him in his yard. Experts say we may see more snakebites this year. His wife, Cathy, was in the front yard. "It was bloody murder," she said. "It was the loudest shriek I've ever heard come out of his mouth." David Whillock was treated with anti-venom and spent three days in the hospital. 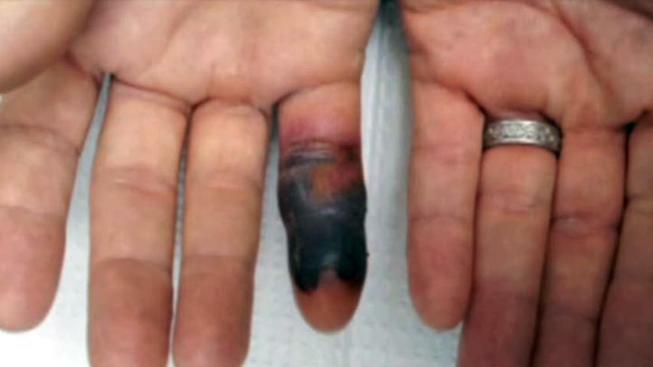 His finger turned black and swelled. “Snake venom is toxic, and it causes damage in multiple areas -- usually mostly local, which is, if you get bitten on the finger, your finger can turn black, swell up.It’s possible to even lose a finger,” Smith said. 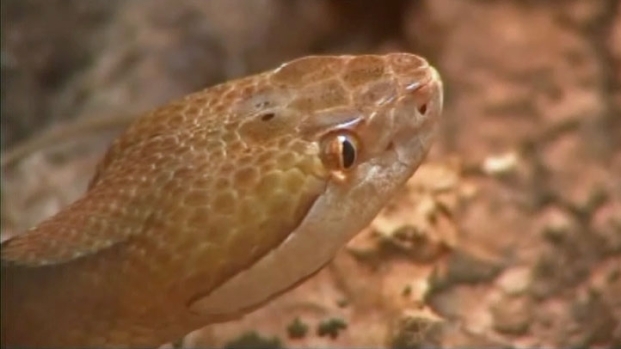 In a typical year, Smith said he sees about nine cases of snakebites, but he saw 21 last year. He said he would not be surprised to treat that many cases again this year. Smith has already seen three cases so far this year. Jon Campbell, a University of Texas at Arlington professor of biology, said snake season typically starts in the early spring and goes until the end of summer. Poisonous snakes such as copperheads, rattlesnakes and cottonmouths can be found in North Texas. “During the day, most often you’re going to find them in dark hiding places, and if these hiding places tend to be a little bit moist, so much the better,” Campbell said. Copperheads can be found in any kind of brush or piles around a home. “Copperheads especially like to hide in brush piles and other piles of debris -- any place they can get up underneath and hide by day,” Campbell said.